Mild rashes on the surface of the skin. Nausea and the general feeling of an “upset stomach”. Dull headaches that last for a longer period of time than your average headache. The most important component to using oral medications is to be sure to tell the medical professional that will be giving you access to the medication about any and all other medications that you may be taking. Some of the medications commonly used by people worldwide do not mix well with these oral medications and can prove hazardous if not known about before treatment begins. Liver failure is the most commonly discussed of the potentially dangerous side effects of oral medications. This condition has been linked to the use of a couple of common oral medications and although somewhat rare, presents a real danger to people who may not have a healthy liver to begin with. This should be talked about with a medical professional as well and if you suspect you have an unhealthy liver, it is likely you will not be permitted to use oral nail fungus treatments. A more rare, yet equally scary potential side effect that liver failure is the potential for heart failure. In many cases of older individuals that may have experienced some heart issues, oral medications will not be used. If you have any suspicion of heart trouble or have ever had a medical visit for your heart, be 100% certain to mention this to your medical professional and request that blood tests and analysis are done. 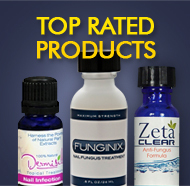 This entry was posted on Monday, April 29th, 2013 at 5:58 pm and is filed under Good Nail Care Habits, Onychomycosis, Oral Medications, Toenail Fungus Treatments. You can follow any responses to this entry through the RSS 2.0 feed. You can leave a response, or trackback from your own site. I have toenail fungus for few years, started with one toe then speared to rest of my toenails. Bottom of my feet and in between toe are dry and itchy and cause me very uncomfortable. Recently (one week ago) I have developed uncomfortable itchy situation all over my body that causes not to get good night sleep. I have to itch my legs, thighs, arms, back, neck and between my fingers. Please let me know what is happening to me. Is this new body itch related to my toenail fungus?? Hello Hamid, and thanks for your contribution and question. The quick answer to your question is no but there is a strong chance that your toenail fungus was contracted because of a more broad skin fungal infection that you may have. The condition you described with your feet and toes sounds very much like athlete’s foot which is one type of skin fungal infection. Skin on other areas of the body can certainly become dry and itchy is the skin fungal infection has spread. We suggest scheduling an appointment with a medical professional well-versed in skin infections to discuss the first course of action for treatment. Skin fungal infections are all curable but you should start as soon as possible since it is causing you severe discomfort. both toenails have sepearated from the bed very raw n hurts. it first started when I went to the nail salon n wanted my toes to be pretty n they applied acrylic over them n then now its a mess. I apply meds. for this on my toes daily went to see a foot doctor gave me an oral med. don’t want to take it because of the side effects. went all winter n did what I was suppose to do n was doing ok growing back thick n had a wedding to go to n had to wear open toe shoes n did the acrylic thing again n in two days back to square one. do u have a suggestion to try? Hi Dawn, and thanks for commenting! Our general suggestion is to do some research of your own based on information you can get by looking around and reading our website. We usually suggest using a topical solution first since these treatments are generally less expensive and have no side effects to speak of. Hope that helps you make a decision and thanks again for using our website!